It's Easter, so let's talk about Jesus Christ shall we? 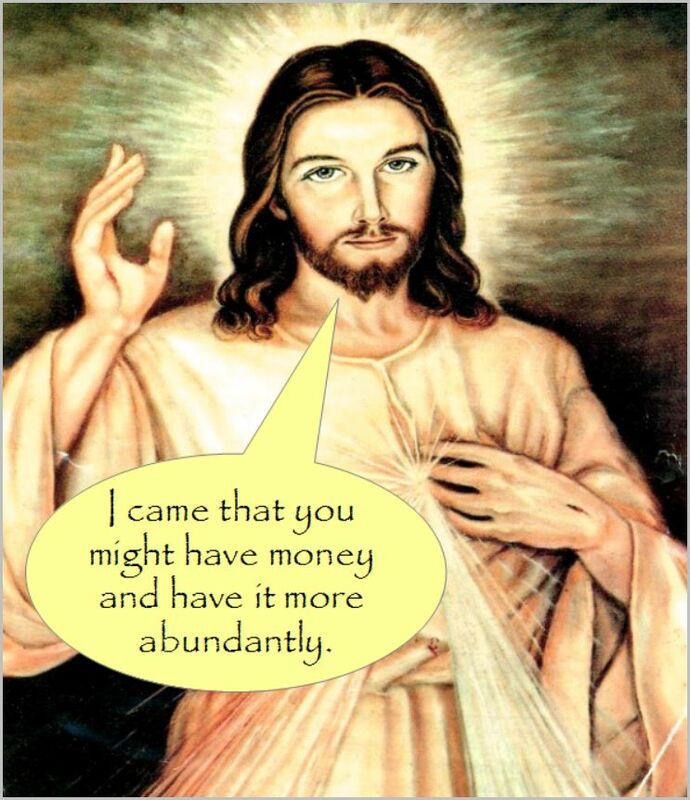 Nowadays, we have the traditional Jesus Christ, you can read all about him in the Bible, and then we have Money Jesus. Trump's pastor, Paula White is one of many extreme televangelists who preaches about Money Jesus. She has long been a controversial figure in Christian circles, where many find fault with her promotion of the "prosperity gospel" which teaches that God bestows health and wealth on true believers, particularly those who donate money to ministers. White's theology borders on heresy according to many Evangelicals. Still others, claiming to be Evangelicals, go along with her hypocrisy. 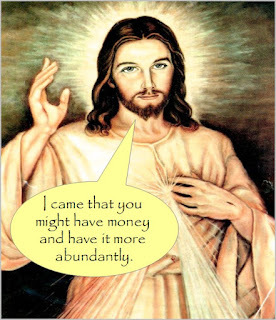 In White's version of Jesus, and God, the moneylenders (reviled in the Bible) are blessed, and the wealthy are walking in the footsteps of Money Jesus. It doesn't take a rocket scientist to suggest money is the real God to extreme Conservatives who try to cloak it in a parallel universe where the Bible has been radically revised. Today, in churches across America, prosperity preachers are asking for money. Morally confused followers are showering them with it, in expectations of buying a spot place in Heaven. True believers, those who do follow the Bible's teachings, need to pray for the lost souls following Trump, Paula White, and the rest of the hypocrites hiding behind religion in our nation today. It's Political Deju Vu Time Folks!